 We’re very proud to be partnering with Odell Brewing to build their new pilot brewery and taproom in Rino! Fort Collins-based Odell Brewing will open a brewery and taphouse in Denver’s River North Art District by the end of this year — complete with patio space, an area for live music and fire pits. The RiNo spot will be Odell’s second brewery and taphouse and brings the popular beer company — a favorite among craft-brew enthusiasts, especially for its 90 Shilling Ale — into downtown. Construction and development will begin over the summer and the building will have two bars with 15 Odell tap handles, an outdoor patio with two fire pits, a live music/performance space and a partially-covered rooftop.